Designed by Spencer Stewart Marsh (1799-1875) around the time of LaFayette’s founding, this was home to his family and their descendants until 1989. It’s also known as the Marsh-Warthen House. Spencer Marsh was born in Chatham County, North Carolina, and married Ruth (Rutha) Terrell Brantley in 1824. They first migrated to Covington, Georgia, around 1833, and then to Walker County. He was a justice of the Inferior Court and a state senator and Walker County’s wealthiest and most prominent citizen with farming and real estate interests all over the area. He was also, along with Andrew P. Allgood and and William K. Briers, a founder of the Trion Factory (in Chattooga County), said to be the first cotton mill in Northwest Georgia, in 1845. It was later known as Marsh & Allgood. During the Civil War, the Marshes sought refuge in Cassville and upon their return after the war, found bloodstains and hoof marks from a Union pillaging. Marsh’s daughter, Sarah Adaline, married Nathaniel Greene Warthen in 1859. 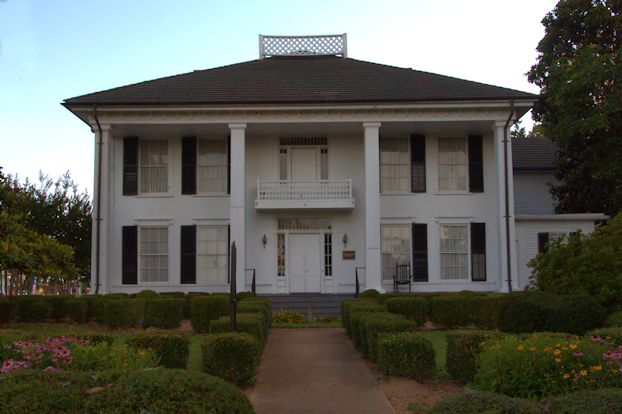 Due to the heavy Union presence in Northwest Georgia, the young couple relocated to the relatively safer Warthen homeplace in Warthen, Washington County at the height of the war. Afterwards they returned to LaFayette and also resided here with Sarah’s family. It’s a near certainty that Spencer Marsh’s slaves were responsible for the construction of the house. He owned 12 in 1850. One of them, 16-year-old Wiley Marsh, was Spencer’s son according to widely accepted oral history. [Interestingly, Wiley Marsh is mentioned on a Department of the Interior marker honoring the African-American presence on the property but it doesn’t note that he was Marsh’s son]. Built in the Greek Revival style popular by 1840, the house was expanded between 1895-10 by Marsh’s grandson, Spencer Marsh Warthen, who also added minimal Colonial Revival features, including the balustrade, around 1935. Almost every architectural element and update of the house has been extensively catalogued. Addie Augusta Wert, great-granddaughter of Spencer Marsh, was the last family member to reside here, removing to a nursing home in 1989. 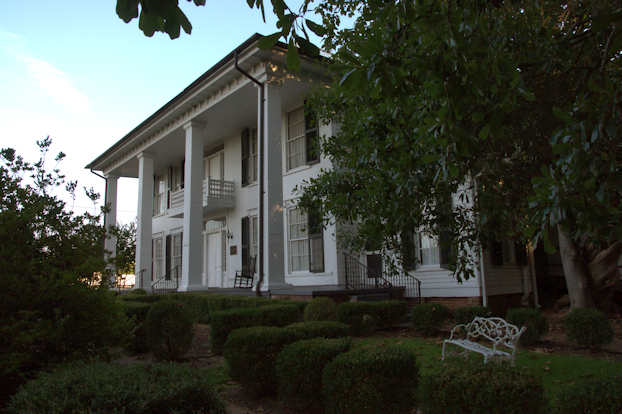 Patrick and Donna Clements bought the house from the estate in 1992 and sold it to the Walker County Historical Society in 2003. The Marsh House of LaFayette is now operated as a museum, with limited hours. This is an abridged version of Dan H. Latham, Jr., and Beverly Foster’s excellent history of this house viewable on the National Register nomination form. It’s a fascinating read, especially in regards to some of the Civil War associations of the house and family, as well as the background on Wiley Marsh, Spencer’s “mulatto” son. 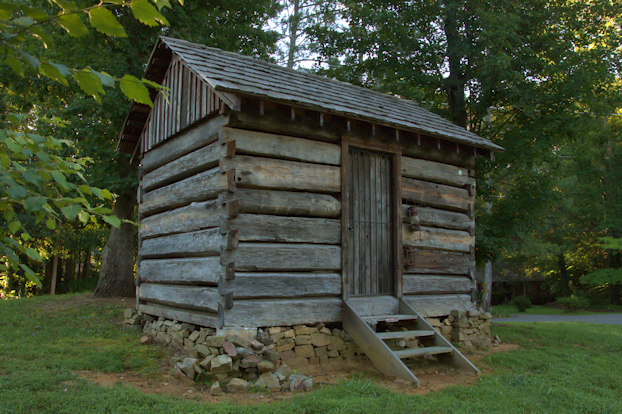 To enhanceme the interpretation of the African-American experience at the Marsh House, a log cabin has been moved here and reconstructed to replicate what a slave cabin would have looked like before the Civil War. This cabin is actually about a hundred years old and was an outbuilding located on another property. It was donated to the Marsh House by Breck Parker.